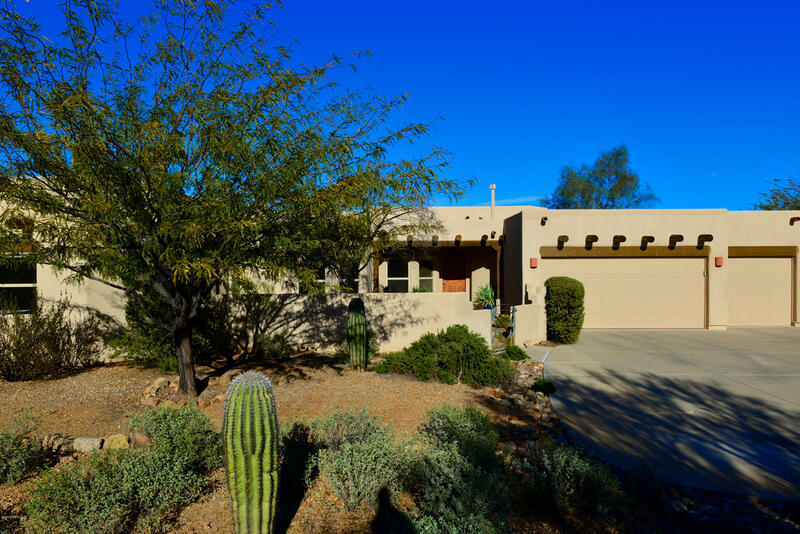 All Agua Dulce (1-60) homes currently listed for sale in Tucson as of 04/23/2019 are shown below. You can change the search criteria at any time by pressing the 'Change Search' button below. "Custom Santa Fe in upscale gated community! Clear views of the Catalina and Tucson Mountains. State-of-the-art kitchen begins w/an abundance of beautiful cherry cabinets, big drawers for pots, pantry & sprawling granite island. Travertine backsplash, Franke double sink, brushed nickel hardware, SS appliances, Miele convection/steam oven & separate beverage refrig. Fam. room off kitchen w/gas beehive fp. Separate guest wing w/2nd mstr. Courtyard entry, viga beams, tile floors throughout. Covered"
"Come relax in your new backyard oasis! Enjoy this beautifully landscaped backyard with extended covered patio and built-in gas grill. Beautifully maintained home with loads of upgrades! Eat-in kitchen features granite counters and maple cabinets. Large living space with fireplace. Master has double door entry with garden tub, separate shower and walk in closet. Cozy loft with great views from 2nd floor. 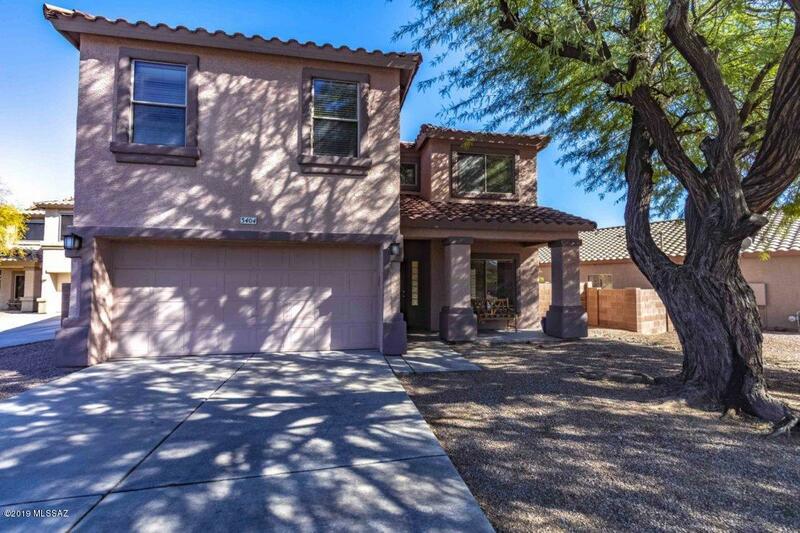 Quiet gated community with easy access to I-10, downtown, U of A, PCC."